NO. 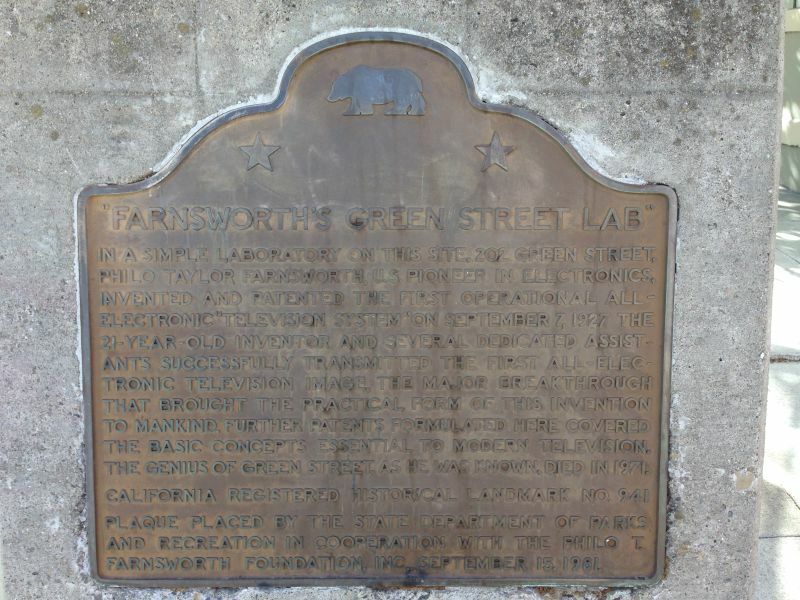 941 FARNSWORTH'S GREEN STREET LAB - In a simple laboratory on this site, 202 Green Street, Philo Taylor Farnsworth, U.S. pioneer in electronics, invented and patented the first operational all-electronic 'television system.' On September 7,1927 the 21-year-old inventor and several dedicated assistants successfully transmitted the first all-electronic television image, the major breakthrough that brought the practical form of this invention to mankind. 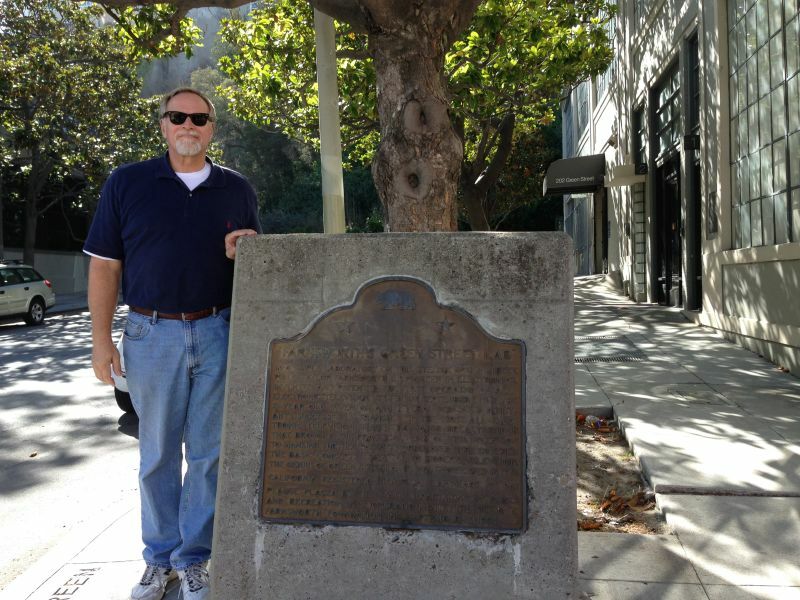 Further patents formulated here covered the basic concepts essential to modern television. The genius of Green Street, as he was known, died in 1971.